Enjoy Italian ambience in our cozy hotel with our Italian restaurant Il Brigante. Attention and personal service are a matter of course for us. 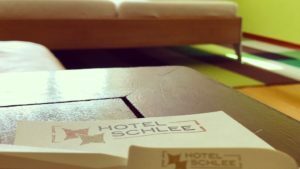 With a total of 19 rooms (7 single rooms, 12 double rooms), all equipped with shower and toilet, the Hotel Schlee offers comfort and tranquility. 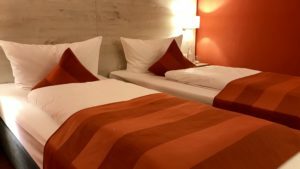 A 3 bed room is a double room with an extra bed suitable for children and adults alike. 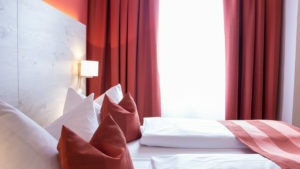 Of course, all our rooms are lovingly renovated, modern and stylish. We attach particular importance to high sleeping comfort with extra comfortable beds. On request, business travelers can use the hotel's free Wi-Fi internet access in their room. A rich breakfast buffet guarantees a good start to the day already in the early morning. S-Bahn station Hohenschäftlarn: Take the S7 direction Wolfratshausen (every 20 minutes from Munich, from the main station about 30 minutes drive). The restaurant is located directly opposite the S-Bahn station Hohenschäftlarn. By bike through the extensive Forstenrieder Park: The restaurant is an S-Bahn station from the exit of the Forstenrieder Park on the same side. Our tip: Rent an e-bike next door when going uphill at reasonable prices. By car Hohenschäftlarn is located on the main road 11 Munich - direction Wolfratshausen - Mittenwald. From Munich - Solln drive about 10 minutes. The vicinity of Hohenschäftlarn and Baierbrunn offers numerous destinations such as Kloster Schäftlarn and Lake Starnberg. Hiking and biking in the Forstenrieder Park and the Isar, in summer Sunny Beach on the Isar, in winter cross-country skiing.